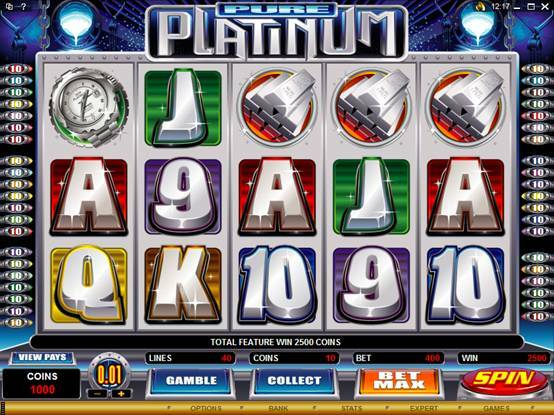 Pure Platinum Video Slot. Free Spin Feature. The smooth luster of the world's most precious metal is very much apparent in the theme of the latest video slot release at Gaming Club Casino, branded PURE PLATINUM. 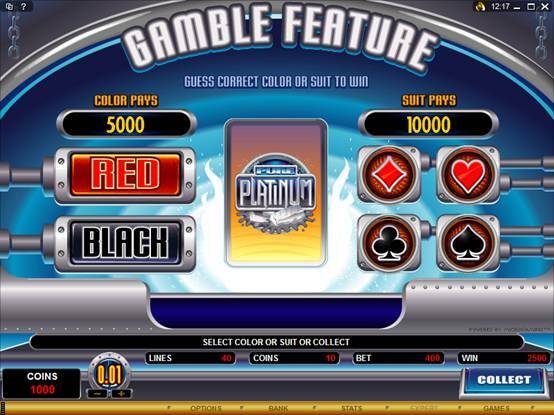 The silvery gloss of this valuable and versatile metal permeates the 5 reel 40 pay-line game, which is rich in opportunities such as Wilds, Scatters, Free Spins, Multipliers and a chance to Gamble with the prospect of doubling or quadrupling wins by correctly predicting the right suit and color. The razor sharp graphics are replete with expensive watches, glittering rings and high-value platinum ingots through which the player navigates in order to build winnings and reach lucrative free spins. On a maximum bet of 20.00 phenomenal rewards as rich as the theme are achievable - up to 20 000.00 in the base game and 100 000.00 in the generous Free spins. 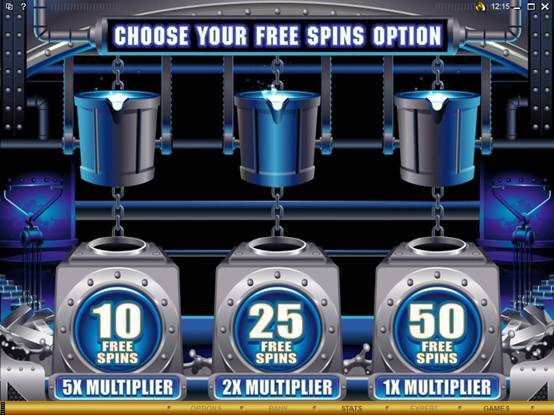 Helping the player to access those free spins is the Pure Platinum Record; when 3, 4 or 5 of these appear it triggers a second screen reward feature where a choice of three molten platinum crucibles with Free spins and win-boosting multipliers awaits, ranging from 10 spins with a 5x multiplier up to 50 Free spins with a 1x multiplier. The betting range of 0.01 to 0.05 suits all pockets in this brand new game, which brings together the thrills of slot action with the adrenalin boosting excitement of Australian-style free spin rewards. Click over to Gaming Club Casino today for some high-value slot action on Pure Platinum right now!